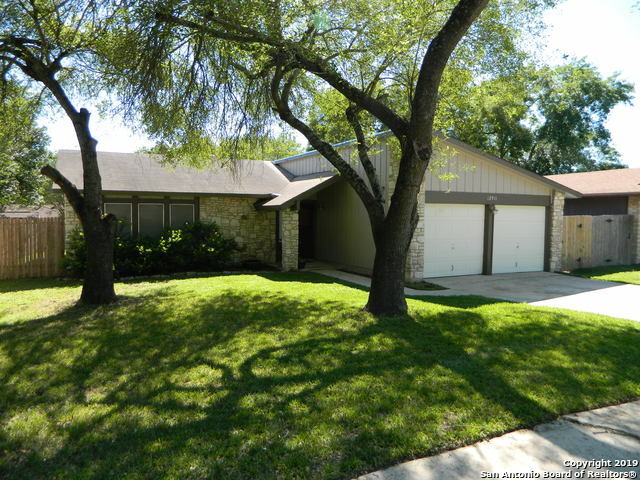 All VALLEY FORGE homes currently listed for sale in San Antonio as of 04/24/2019 are shown below. You can change the search criteria at any time by pressing the 'Change Search' button below. 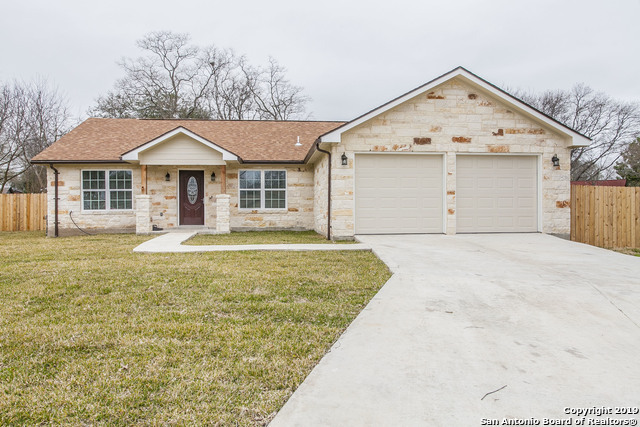 "This is a New Custom Built Home , It has a energy star Certification, This home is built in a establish area with large yard and beautiful full-grown trees. It has total privacy around the backyard. Its has carpet grass in front and in back yard It's a 3-2-2-w/ office ( study Room ). Don't miss out on this opportunity. NOTE FOR REALTORS : When locking the front door you must put the key in the key hole . left up the door knob and then turn the key to lock the door back." "***OPEN HOUSE*** Saturday April 20th 12pm-3pm. This 3 bedroom 2 bathroom home has vaulted ceilings, 2 living rooms, and the perfect breakfast nook. 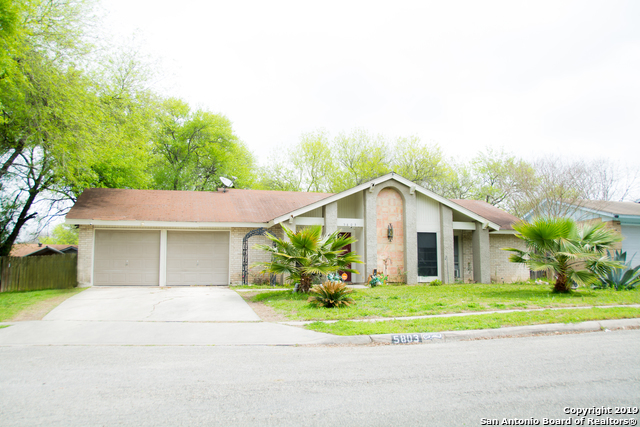 This home has no carpet, updated flooring, new paint, new roof shingles, granite countertops, new lighting fixtures, new plumbing fixtures, a dishwasher and stove. Easy access to IH 35, Wurzbach parkway, and IKEA. You will not disappointed!" "Convenient NE location. Valley Forge Modern Styled Remodel Featuring: New Roof, New Water Heater, New SS appliances, oversized SS sink, custom stone back splash, new custom cabinets, granite counters, 2 wood blinds, new glass sliding door, new doors, wood burning fireplace, custom vanities & tile work in both baths, new carpet in all bedrooms, wood grained custom tile throughout.Backs up to a green belt, lots of privacy, finished garage w/epoxy finished floor. HVAC system serviced and cleaned." "Charming one story move-in ready home in sought after neighborhood with easy access to I-35, Wurzbach Parkway and IKEA. Home features: laminate flooring, upgraded carpet in bedrooms, new double door in back, recessed fixtures installed in updated kitchen, hallway and foyer, gas appliances, dishwasher, a spacious two car garage with ample workspace adjacent to utility area, cozy fireplace, and smart home hub with thermostat and light switches." "GREAT STARTER HOME OR INVESTMENT PROPERTY! MOVE IN READY! NEW CARPET IN MASTER BEDROOM AND LIVING ROOM, New laminate in family, 2 bedrooms and kitchen. New fridge, new GAS water heater, new GAS stove, NEW CA/CH & DUCTS! Upgraded roof and Hardi-plank siding two years old. Fresh paint inside! All appliances incl. washer and dryer! What are you waiting for? Take a look at this home in Valley Forge! CORNER LOT! THIS COULD BE YOUR FIRST HOME!" 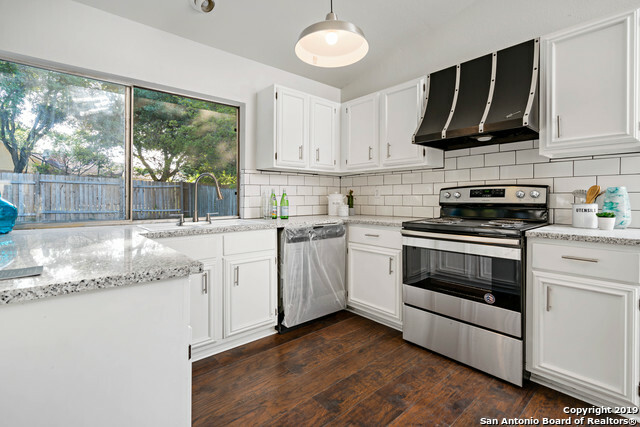 "This San Antonio one-story corner home offers stainless steel appliances, a walk-in closet in the master suite, and a two-car garage. Upgraded features include a new roof, new carpet in select rooms, and fresh interior paint. This home is not part of an HOA. This home has been virtually staged to illustrate its potential! Thanks for viewing! Home comes with a 30-day buyback guarantee. Terms and conditions apply." "Valley Forge has another beauty with tons of Character and Charm. This 3 bedrooms 2 bathroom one story, offers Granite in kitchen and in Bathrooms. Home has separate dinning room and eat in kitchen with a breakfast bar with stainless steel appliances. French doors lead to the back yard covered patio with mature trees and shed in back."